Roberto is an Italian Attorney of Counsel for Davies&Associates, with practice particularly focused on Italian citizenship’s applications; “Jure Sanguinis”, “Through Marriage”, “Reacquisition of Italian Cirizenship”, and “Renouncing Italian Citizenship”. He also represents clients, who need all kind of Italian visas, both up to 90 days, and more than 90 days, and who need to apply or renew the"Permesso di Soggiorno", or "Carta di Soggiorno". Roberto provides also all kind of related legal activities to the Italian visas, as full assistance to the clients during their stay in Italy. In Italy, Roberto practices civil law, specializing in real estate, corporate, torts and administrative law (trials before TAR, “Tribunale Amministrativo Regionale”). A native Italian speaker, Roberto also speaks English. 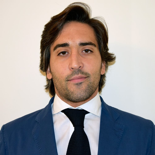 He has also an extensive experience as legal counsel for matters related to Tourist Investments and Hospitality Services provided for clients who want to invest and live in the “Bel Paese”.